Connealy Armory is a very exciting outcross bull. 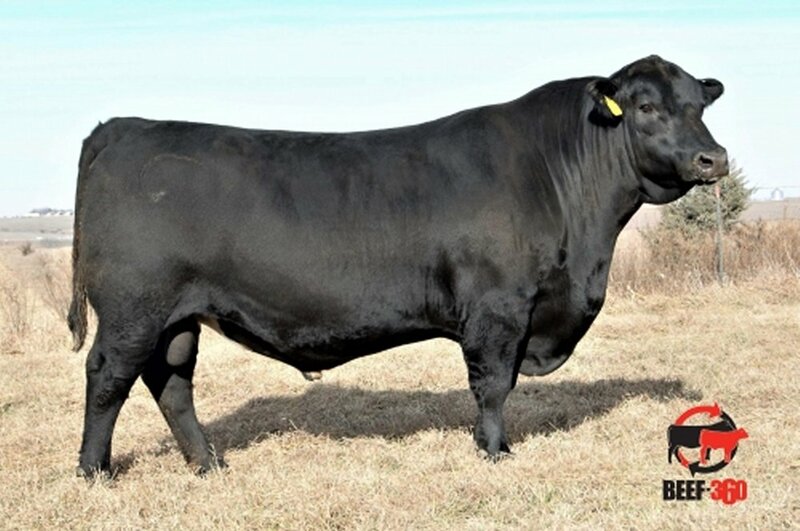 He brings tremendous performance in a sound, long bodied, bigger framed package with a pedigree that can be used a lot of ways. Armory had individual ratios of 113-weaning and 115-yearling and is backed by multiple generations of proven pathfinders. 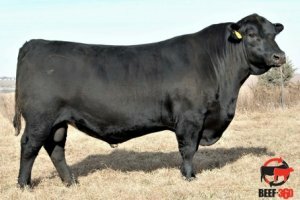 His dam is an elite Pathfinder cow in the Connealy herd with 7-107 Weaning Ratio and 7-110 Yearling Ratio. Although Armory has some white near his navel, he has as much economic relevance as we have found in a young sire.